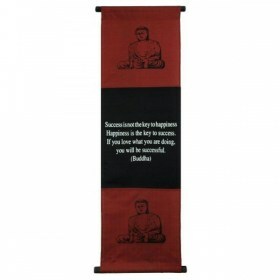 Success - Large Affirmation banner, 120cm x 36cm in 6 assorted colours. These inspirational banners are hand screened on vibrant coloured fabric in Fair Trade family owned workshops. Each banner provides a unique decorative focal point and at the same time sends an inspiring message to everyone.while providing a livelihood for those that make them.